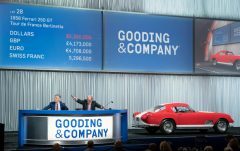 A 2019 McLaren Senna and a 2014 Mercedes-Benz G63 6×6 were the top non-charity lots at the Barrett-Jackson Scottsdale 2019 collector car auction. 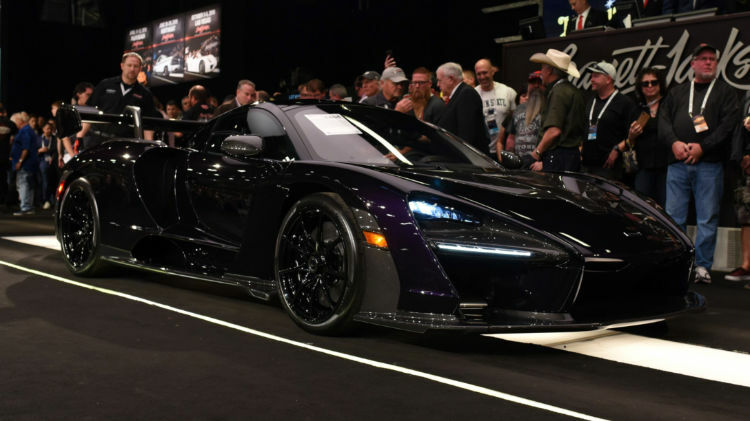 The two highest non-charity lots results at the Barrett-Jackson Scottsdale collector car auction were a 2019 McLaren Senna sold for $1,457,500 and a 2014 Mercedes-Benz G63 6×6 that achieved $1,210,000. 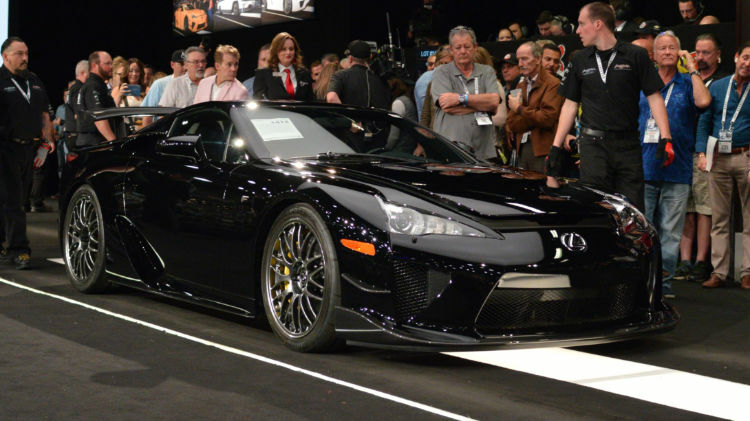 A 2012 Lexus LFA Nürburgring Edition sold for a model world record $918,500. Barrett-Jackson scheduled its 48th Annual Scottsdale Auction of collectors cars and automobilia for January 12-20, 2019, at WestWorld of Scottsdale, Arizona. 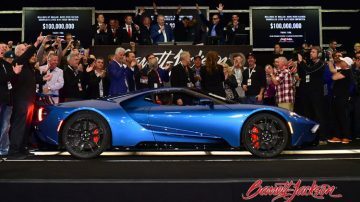 In 2019, Barrett-Jackson sold 1817 of 1818 offered with total earnings of $126.4 million. Hagerty calculated the average price per car as $69,571. Five cars sold for over a million, including three charity lots. In 2018, Barrett-Jackson earned according to Hagerty $112,3 million by selling 1709 of 1729 cars offered – an amazing sell-through rate of 99%. The average price per car was $65,692 with five cars selling for over a million dollar. In 2017, Barrett-Jackson earned $102.4 million: nearly $100 million from the 1719 cars and $2.5 million for more than 1800 lots of automobilia. The sell-through rate was a very impressive 99.5%. In 2016, Barrett-Jackson grossed $105 million and offered 1,469 cars for sale while the memorable 2015 auction grossed a record $132 million from 1,617 cars offered. 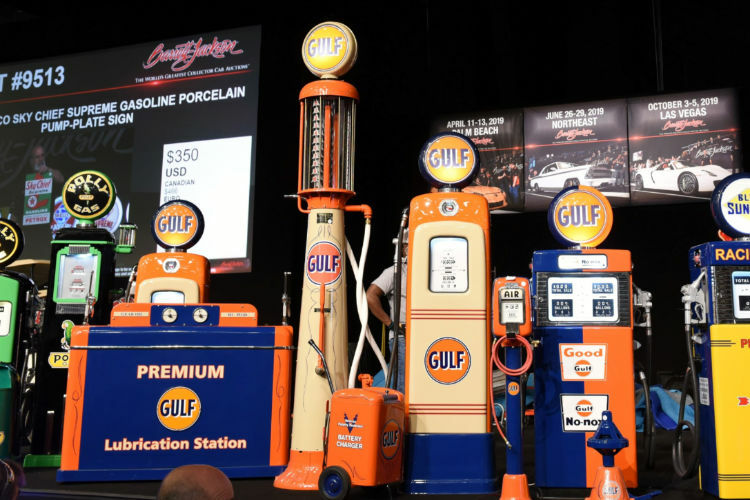 Barrett-Jackson made history at the Scottsdale 2019 sale when it sold more than 1,800 vehicles, the largest public No Reserve collector car auction ever held. In total, over 1800 vehicles sold for over $118 million with a 99.74% sell-through rate, while over 1,500 pieces of automobilia brought in over $4.05 million, and $9.6 million was raised through the sale of charity vehicles, bringing the total auction sales to more than $131.6 million. The weeklong automotive lifestyle event also hit a new milestone with over 5,300 bidders and a record number of guests. Barrett-Jackson continued to create, define and lead the trend of modern supercars and professionally built Resto-Mods coveted by a growing number of younger buyers. The Barrett-Jackson Scottsdale Auction showed that supercars and professionally built Resto-Mods are in high demand. Prewar classics, which have been historic staples in the Saturday offering, were joined by modern supercars like a 2019 McLaren Senna (Lot #1405) and professionally built Resto-Mods like the 1967 Chevrolet Corvette Resto-Mod Convertible (Lot #1078) (Dawn of the Resto-Mods video). The shift is being driven by younger buyers, like singer/songwriter Ray J, who was the winning bidder of a 1967 Chevrolet Camaro Resto-Mod Coupe (Lot #3004). Three 2006 Ford GT Heritage Edition cars made it into the top three. Somewhat ironically, given the high number of delivery hypercars at car auctions, the Ford with the higher mileage outsold the low-mileage cars. 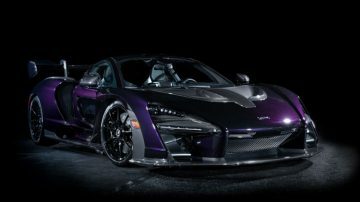 The 2019 McLaren Senna sold for $1,457,500 at the Barrett-Jackson Scottsdale 2019 sale set a model record by virtue of being the first Senna offered at public auction. The McLaren Senna sold in Scottsdale was the fifth production Senna and one of around 120 in US specification. It is finished in a striking Amethyst Black with only 281 miles on the clock. Only 500 will be built and all are already sold. The sale also gave the seller a quick profit – the list price in the USA for a Senna is $837,000 without options. Selling quickly gave the vendor the opportunity to tap into pent up demand from buyers who couldn’t secure a new car. Other recent hypercars such as the Bugatti Chiron, Porsche 918, McLaren P1 and LaFerrari saw demand and prices dropped after the first few had hit the auction circuit. Barrett-Jackson’s next collector car auction is the Palm Beach Auction, April 11-13, 2019.